Long-term efforts to make UN members reduce greenhouse gas emissions appear to have led to the development of relevant mechanisms, but the real solution has been postponed till the next decade. Russia will continue to get integrated into a low-carbon framework, but is generally expected to conduct business as usual. The Paris climate agreement, which was signed by almost every United Nations member, is likely to force many countries to at least halt the growth of greenhouse gas emissions over the next few years. This was made possible thanks to the fact that the negotiators were able to build a system of financial and political checks and balances in the Paris Agreement, which is believed to be more effective than the Kyoto Protocol of 1997. If a country fails to comply with its commitments, known as the Intended Nationally Determined Contributions (INDC), which were submitted ahead of the 2015 United Nations Climate Change Conference, it risks losing financial support from donor countries. The industrialized donor countries have agreed (this is enshrined in the Paris agreement) to allocate $100 billion each year by 2025 for programs that help developing countries adapt to climate change. 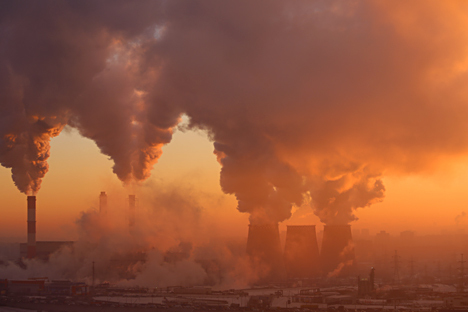 Although no restrictions or sanctions are spelled out in the agreement, UN foundations and agencies as well as the World Bank have already frozen grants and investments in many projects related to the coal industry, which is considered one of the largest sources of carbon dioxide, the main culprit of the greenhouse gas effect. Developed countries cannot help but comply with national emission reduction targets, since it is now a matter of prestige and mutual agreements between them. But since the agreement has postponed the first report on INDC implementation to 2022, the real fight against the increase in average temperature of the atmosphere and greenhouse gas emissions will only begin in the 2020s. As per the Paris agreement, in the early 2020s, Russia must develop a plan for low-carbon development, which will reduce greenhouse gas emissions by 30 percent (from 1990 levels) by 2050. According to Alexei Kokorin of WWF Russia, Russia already has such a strategy and “it should be only adopted officially,” but this will only happen by 2022. Until then, Russia will mostly continue to conduct business as usual and will not introduce special measures aimed at reducing emissions, since the lion's share of emissions (82.1 percent) is from the energy sector, controlled by large state-owned companies. Russian Minister of Natural Resources, Sergei Donskoi, who was present in Paris, promised that Russia would introduce mandatory greenhouse gas emission reporting for companies in 2016-2018.